The Hydra Smartbottle is a BPA free water bottle with many extras. 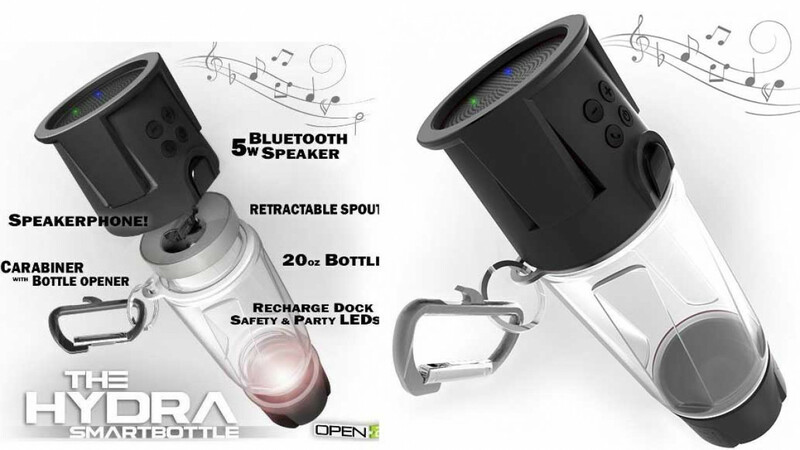 There is a premium bluetooth speaker built into the bottle as well as a microphone which allows it to function as a hands free phone. It also supplies lighting with a built in emergency light, a white lantern light and lighting that can cycle through the entire RGB color cycle. And if that's not everything that you want from a water bottle and more, it can also charge your devices via 4000 mAh power bank that has 2.1a usb output. This has got to be the smartest drink bottle available!